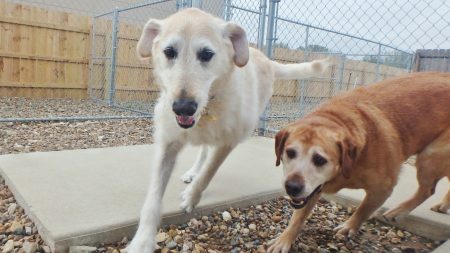 Jackson M (Labradoodle) and Cooper McCr (Yellow Lab) had a blast running and playing during Cooper’s first day at Just Dogs PlayCare! “Action Jackson” and “Super Cooper” became fast friends, and they look forward to their next adventure. We can’t wait to see Cooper again at JDPC!